ID Regular Hardwhite Wood Leather Drum? Can you help me identify this drum? My husband's grandfather's family is from the United Kingdom and he said it was from the War of 1812. Is this possible? Re: ID Regular Hardwhite Wood Leather Drum? What year do you think this was made? How valuable is the drum? Thanks! 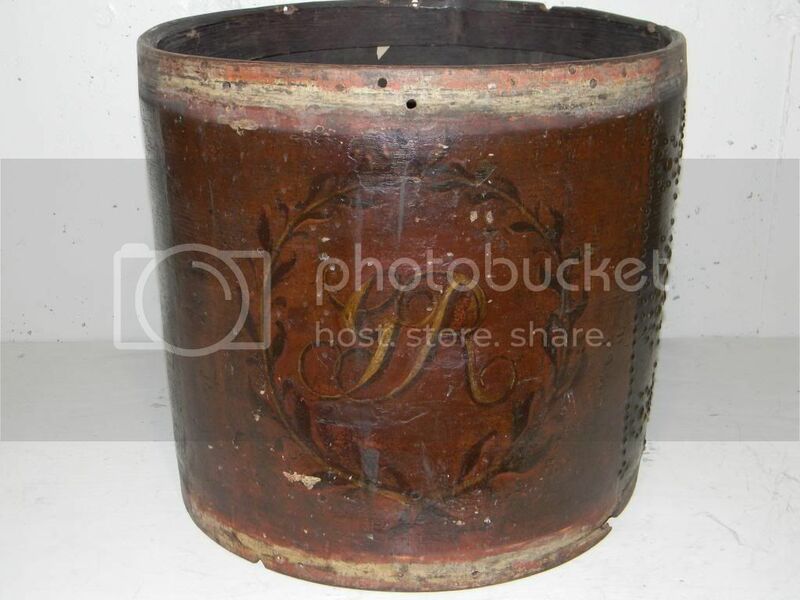 With the Address from the label.. will be a later drum..
Make sure that you google up Henry.... NOT HARRY..
Samuel’s son Henry (1810 – 1876) presumably learned about instrument making from his father, and continued the business after his father’s death in 1838. By 1841 he was well established as his father’s successor, with premises at 2 Bridge Street, Westminster. He continued in his father’s footsteps as regards the making of military instruments, but appears to have had a strong interest in flute making as well. Clearly he must have quickly built up a good reputation as a flute maker, since otherwise it is inconceivable that John Clinton would have entrusted the manufacture of the early Clinton-system flutes to him, in particular the 1851 Exhibition model. Henry Potter remained in the instrument business all his life, and his company remained active until around 1950. Forum member Matt from CT Pro Percussion is a good authority on rope tensioned drums. Let's see if he'll chime in here. Nice drum. I think I've seen that tack pattern before. If the dates cited by longjohn are accurate then the drum could not be from the the war of 1812. If you had Ellis Mirsky look at the drum then I am sure you will get some good information, he has a very good network of knowledgeable people. Do you have a size on the drum? Depth? Diameter of the head? Does it appear to be in round? What are you looking to do with it? the Hard White head is a Leedy head that appears to be from the 1940's (ish) so isn't original to the drum. I had this drum come through my shop a few years back and the facing on it was traced back to the 3rd New Jersey British Militia according to the museum that now has possession of it. I couldn't help but notice the similarity in the tack design. 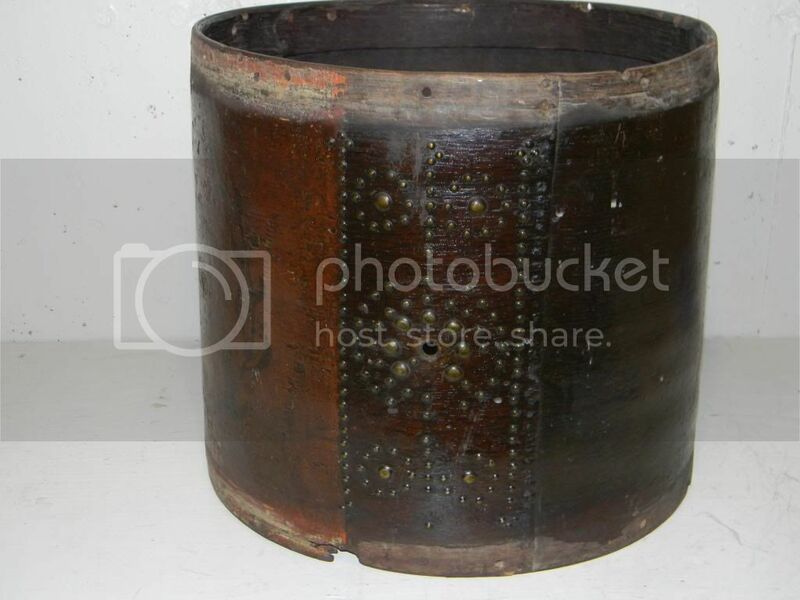 The drum was dated to the Revolutionary war. the one big difference in the tack pattern would be the additional line of tacks to the right because this drum was held together with the tacks and not glue. Cooperman drums calls it the "Kings Landing" tack pattern. Last edited by CT Pro Percussion; 06-11-2014 at 08:39 PM. Thanks to everyone for the info! It's round, diameter of head is about 16 inches, height is about 18 inches. It has some sort of tassel hanging from the top side (IMG_7142). If it is very valuable, we may consider selling it (but would have to clear that with my husband's grandpa first) or if not very valuable, we will keep and display it. Here are more pictures of it. I can't get a full picture of the inside label. P.S. I talked to my husband's grandpa again to confirm his memories of the drum. He said the drum is from the Battle of Waterloo, which occurred in 1815. I told him that I didn't think that was possible given the writing on the inside label, but he still insisted it was from the Battle of Waterloo. When asked how he came to own it, he said his grandfather in England owned it and had no idea how his grandfather came to own it. His grandfather was William Bathurst (b. Oct 1858 Leominster, Herefordshire, England; d. 9 Jan 1915 Minneapolis, Hennepin, Minnesota). That's not a tassel. Those are the snares, and that's the bottom of the drum, not the top. This drum has probably been reroped many times in it's life, and is likely not in its original configuration. Nice historical piece. Seems that the Potter Company is back in business... so may be the best people to talk to about the worth of this drum..